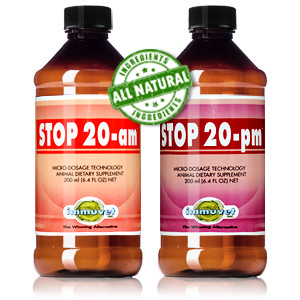 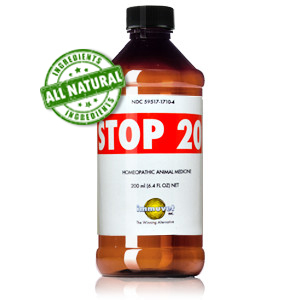 Stop 20® reduces the incidence and severity of Exercise Induced Pulmonary Hemorrhage. 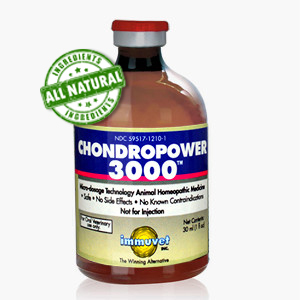 ChondroPower 3000™ helps reduce cartilage degeneration and promote normal healthy joints. Immun-K™ improves the immune system’s ability to defend challenges from viral and bacterial infections. Ulcer Factor™ provides relief of symptoms related to chronic-gastric ulcers in horses and promotes overall recovery. Broncholixir™ provides relief to the symptoms associated with inflammatory lung disease. Quick Training™ improves the circulatory system as well as the respiratory and locomotive functions. Nursing Factor™ improves the quality and quatity of milk in nursing mares. Weaning Factor™ helps foals to maintain their overall healthy condition.